Forest Enterprises has been one of New Zealand’s leading forest and investment managers since it was established in Masterton in 1972. It manages approximately 8,500 hectares of pine forestry in the Wairarapa, and the harvest and replant of this estate is well underway. It is currently the Wairarapa’s largest harvesting company, having reached its peak annual production in 2018 which it will maintain for more than a decade. Such a forestry programme will make a significant contribution to the regional economy – managing it requires the collaboration of strong business partners, good people and reliable infrastructure. McCarthy Transport is a specialist log cartage company that operates in Whanganui, the Central Plateau, Hawkes Bay and the Wairarapa, and is Forest Enterprises primary log transport provider in the region. The company prides itself on its culture of safety, staff development and innovation enhancing productivity. They are a large employer with 214 staff and their fleet is 119 trucks; this is growing. 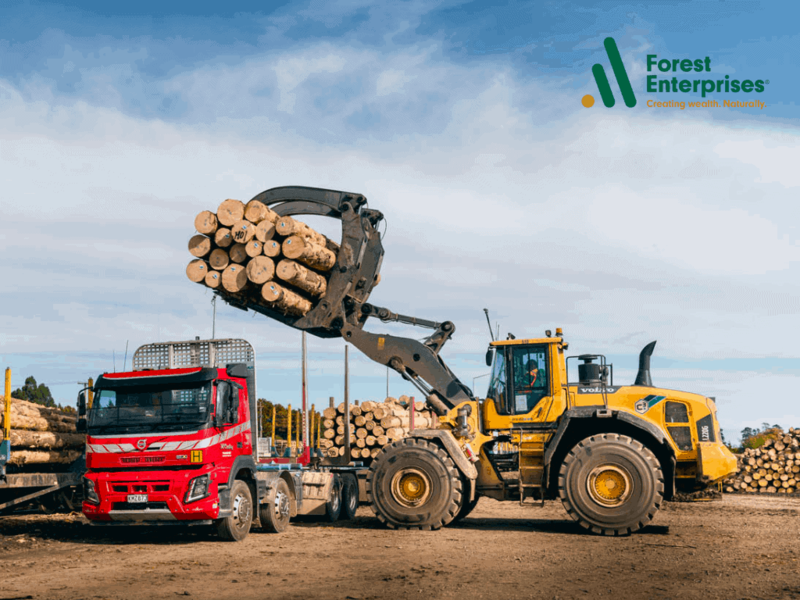 Join us at McCarthy’s newly expanded yard in Waignawa for a tour, and to learn more about these businesses and the status of the local forestry sector.